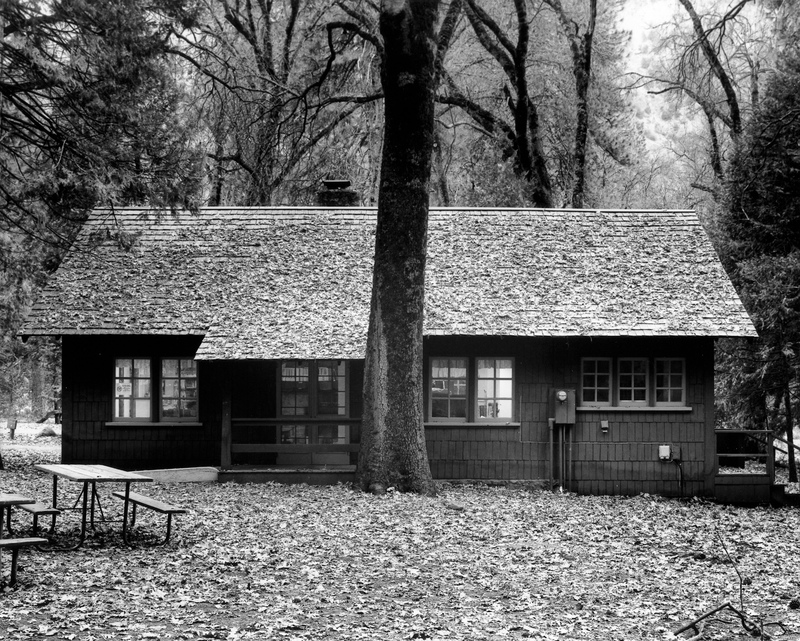 Library, Yosemite National Park, CA (2008) - The Yosemite Valley Branch Library is part of the Mariposa County Library system. It has two public internet stations and is housed in the Girls Club building near Yosemite Village. Library, Mendota, CA (2004) - A new library replaced this San Joaquin Valley library in 2005. 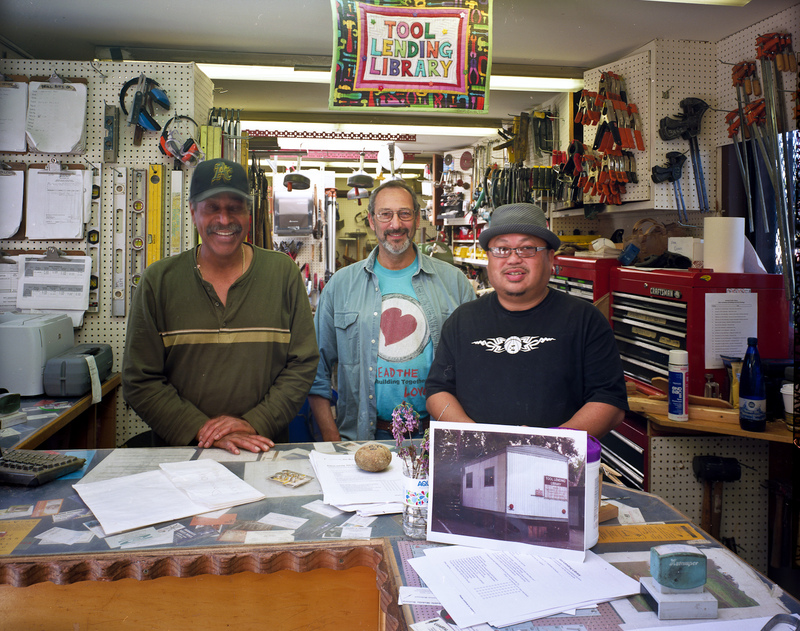 Librarians, Tool Lending Library, Berkeley, CA (2011) - This Tool Lending Library is part of the regular Berkeley, CA, library system. It is an extremely popular branch library. 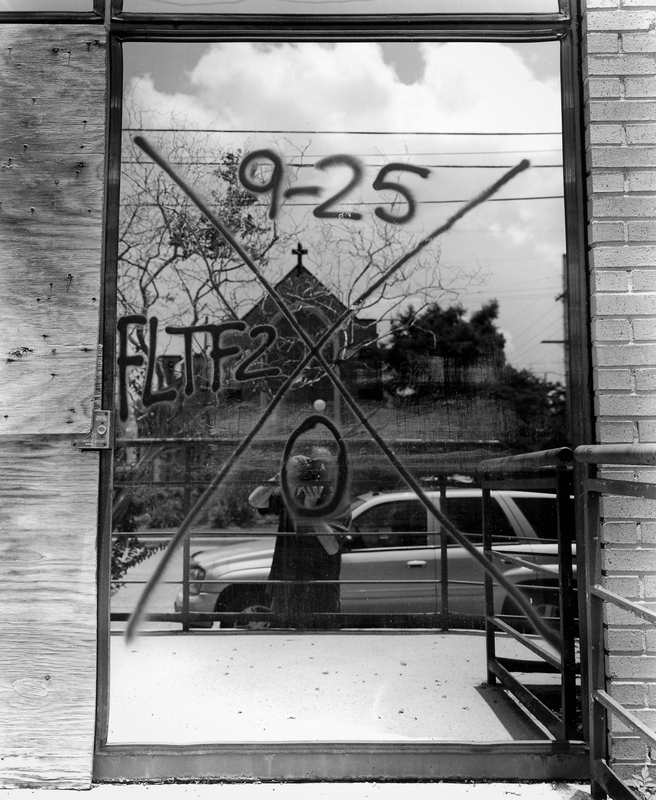 Katrina damaged library, New Orleans, LA (2008) - When the levees broke, all of New Orleans’ thirteen public libraries were damaged, eight so badly they could not be reopened. More than 300,000 books, CDs, and other items were destroyed—nearly half the collection. With the devastation of the city and the crippling of city government, NOPL was forced to lay off 90 percent of its employees. All libraries were closed for over two months. The 19 remaining staff members, when they were able to re-enter the city, began surveying damage and salvaging assets. The devastation was an opportunity to rebuild a better library system. Interior, Woburn, MA (1994) - After a large bequest by Charles Winn to the town of Woburn in 1876, the famed American architect Henry Hobson Richardson was selected to design his first library. 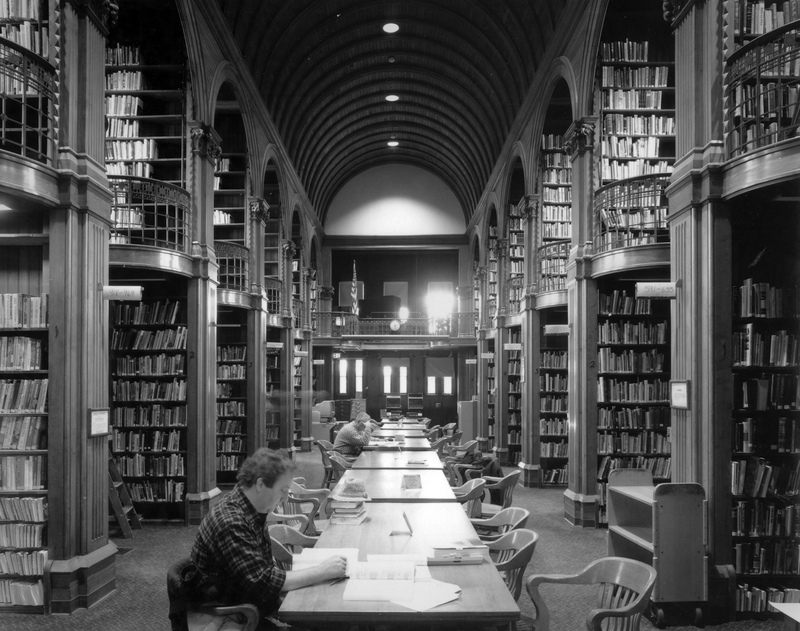 The Woburn Public Library is now a National Historic Landmark. 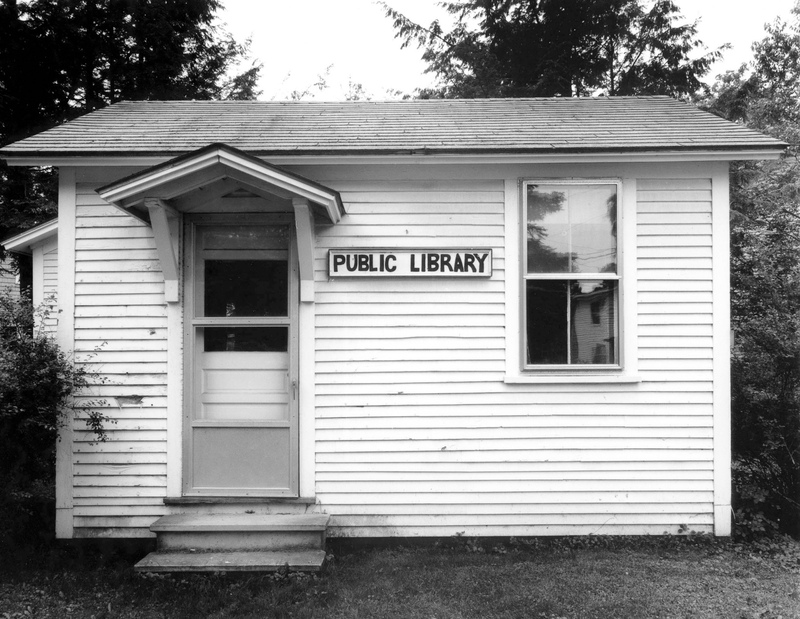 Heartland Four Corners, VT (1994) - The library was assembled from two office rooms from a local sawmill in 1944. It had no heat except a wood-burning stove. At the time I made this photograph it had just been closed and its entire collection of 70 boxes of books had just been sold to a local used-book dealer for $125. Childrens library entrance, Los Angeles, CA (2008) - The Globe Chandelier is part of a model of the solar system. A translucent blue-glass globe with hand-painted continents hangs in the middle. 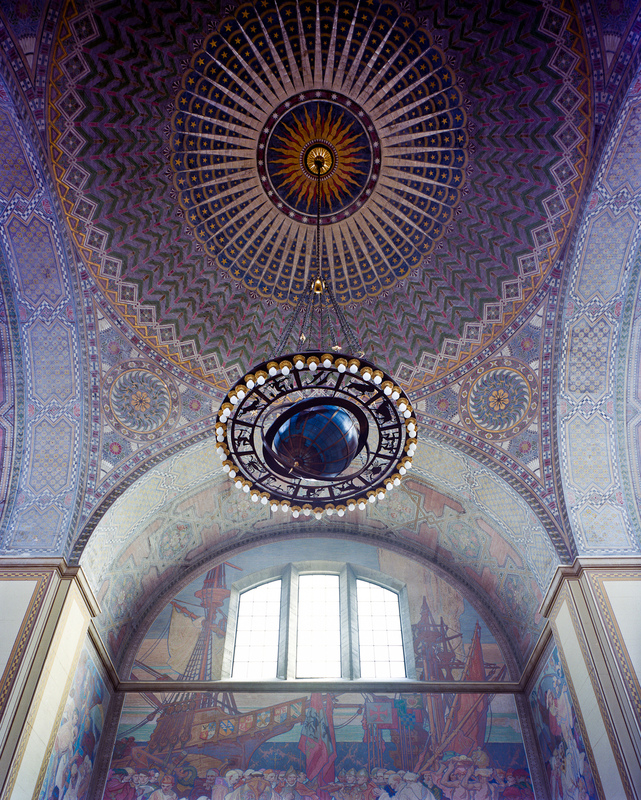 Planets and a crescent moon can be found in the chains that suspend the globe and the sunburst on the ceiling directly above the globe mirrors the sunburst on the pyramid top of the Library outside. Signs of the zodiac ring the globe along with 48 lights around the rim, which represent the 48 United States in 1926 when the building opened. 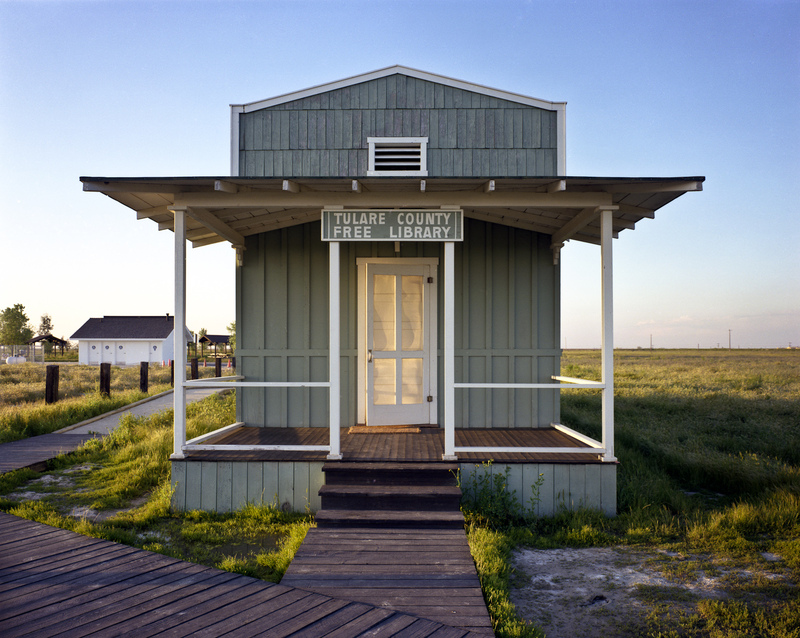 Library built by ex-slaves, Allensworth, CA (1995) - The remarkable life of Allen Allensworth began as a slave in Kentucky in 1842. He later became a petty officer in the US Navy, a Baptist minister and a Chaplin in the US Army. He founded a California Colony in Tulare County that continued for several years during the early part of the 20th century. 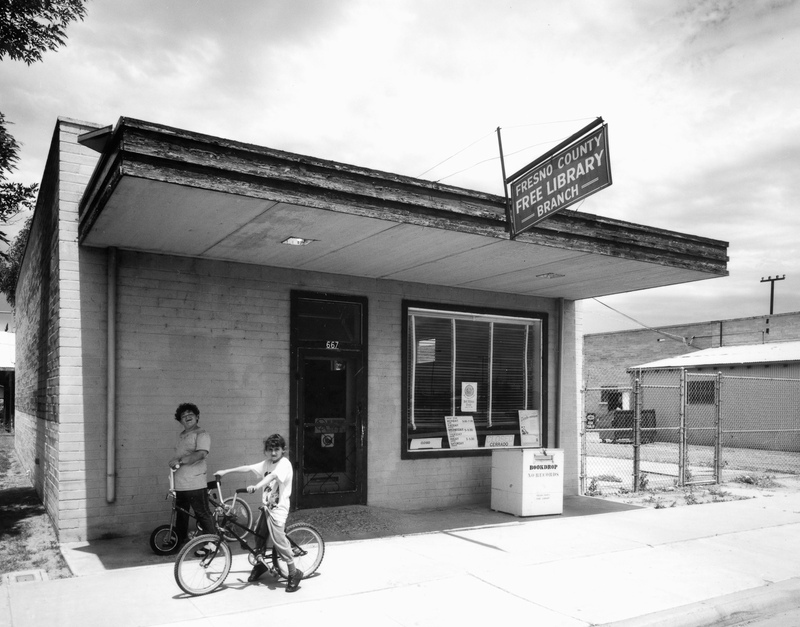 The library is a re-creation of the original in what is now called Col. Allensworth State Historic Park. 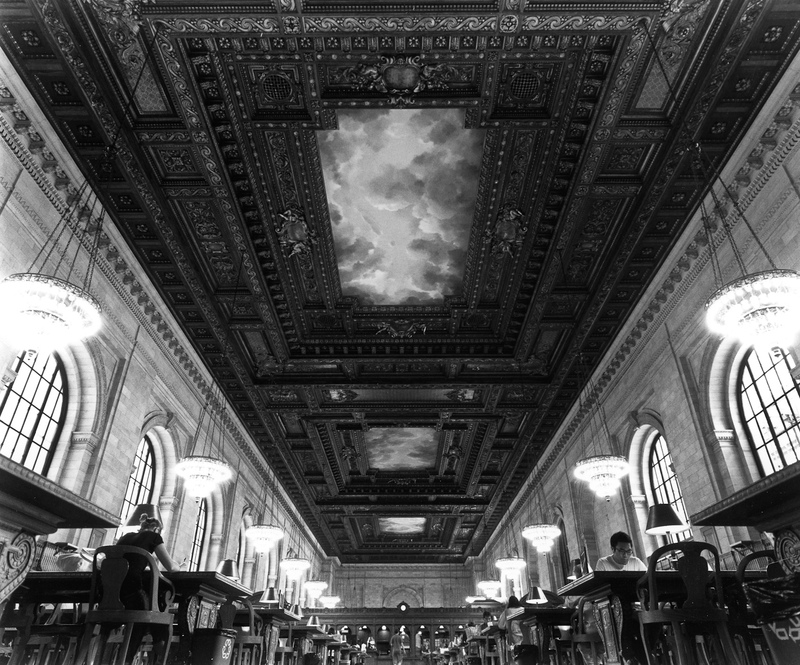 Ceiling, Main Reading room, New York, NY (2008) - Often referred to as the “main branch”, the Beaux-Arts landmark building was initially formed from the consolidation of the Astor and Lenox Libraries, and has evolved into one of the world’s preeminent public resources for the study of human thought, action, and experience. It houses some 15 million items including priceless medieval manuscripts, ancient Japanese scrolls, contemporary novels and poetry, as well as baseball cards, dime novels, and comic books. More than 1,200 languages and dialects, ancient and modern, are represented in the collections. 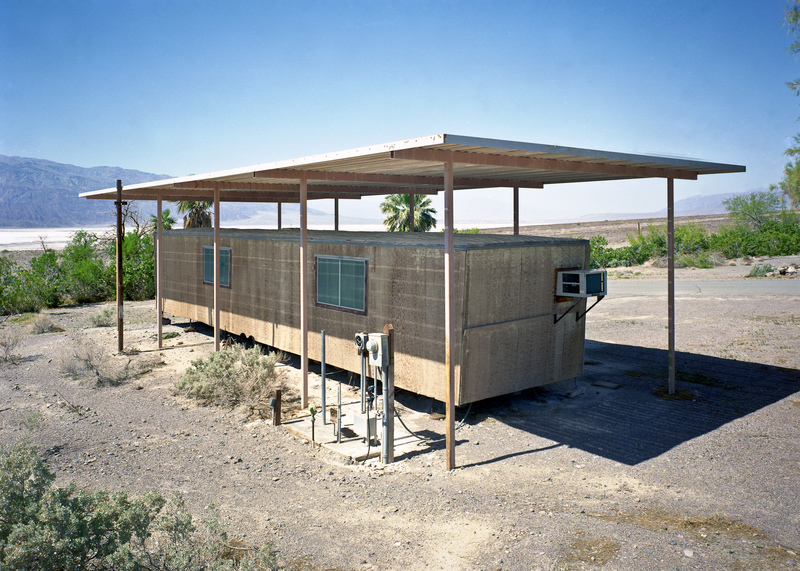 Library, Death Valley National Park, CA (2009) - This remote library in a trailer is the only library for hundreds of miles. The roof is shaded to lessen the intense summer heat of one of the hottest places in the world.